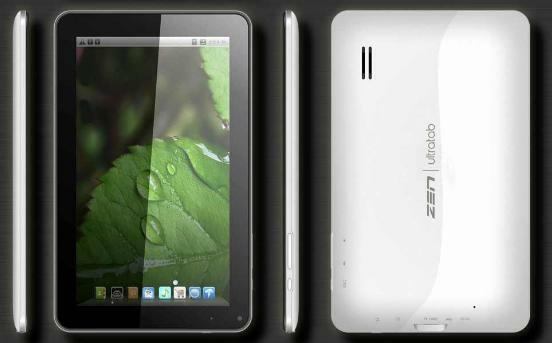 Zen Mobile today launched 9 inch Tablet Zen UltraTab A900 runs on Android 4.0 Ice Cream Sandwich and comes with a 9 inch 5 Point multi touch capacitive screen at price of Rs. 7999. The new Zen UltraTab A900 comes with a 1.5 GHz processor and 512 MB DDR3 RAM 1.3 MP front camera, WiFi and 3G support via Dongle. The Zen UltraTab A900 also provides connectivity through a Micro USB slot. Zen’s Ultratab A900 has a Live Panel menu whereas users can customize to display a variety of content on the home screen including digital pictures, favorite Web sites and social network feeds. Various Apps like Map My India mapping software, Bollywood Ji, ibibo – Teenpatti, Rummy and nexGTV are preloaded. With Zen UltraTab A900 making online payments will now become a matter of seconds as the device supports Paytm. LCD Type: Capacitive Multi Touch Panel with pinch in Zoom. Camera: Front 1.3 Mega Pixel. Battery Backup: Up to 8 Hours of Internet Surfing. Up to 4 Hours of Video Playback on Earphones. WiFi: Yes – Wi-Fi Connectivity. 3G: Yes – Support through Dongle/Data Card. Ethernet Network: Yes – RJ45 with connecter. 3G Model: USB Dongle/Data Card. CPU/Processor: 1.5 GHz Cortex A9. using zen mobile !! great experience . hope it is also a good product. It’s not yet available anywhere. But the price in India will be little higher.